This is to inform all the candidates that applied for admission into the Federal University of Technology, Owerri (FUTO) non-residential, one-year CCE Basic Studies [Joint Universities Preliminary Examinations Board (JUPEB)] programme for the 2018/2019 academic session that they can now check their admission status. 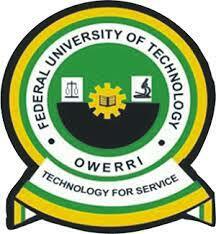 FUTO JUPEB admission list has been successfully uploaded online. How to Check FUTO JUPEB Admission List. Go to FUTO JUPEB admission status checking portal at https://futo.edu.ng/2018/09/25/jupeb-2018-2019-admission-list/. Search for you admission status by typing your NAME or APPLICATION NUMBER in the SEARCH BOX. Congratulations to all the candidates offered admission into the Federal University of Technology, Owerri (FUTO) Joint Universities Preliminary Examinations Board (JUPEB) programme.